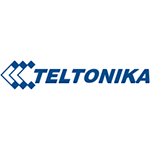 Teltonika is an international satellite monitoring hardware and software manufacturer. The company was founded in 1998 with the headquarters in Lithuania and has eventually become the international Lithuanian-Finnish company in the area of M2M-technologies. Teltonika offers a wide product range from automobile trackers to supplementary equipment and personal trackers. For quite a long time we observe positive sales dynamics allowing the company to secure its position in the top-ten rapidly growing hardware manufacturers. The chart below shows the changes within the last 30 days in the number units of Teltonika devices type are connected to Wialon Data Center.